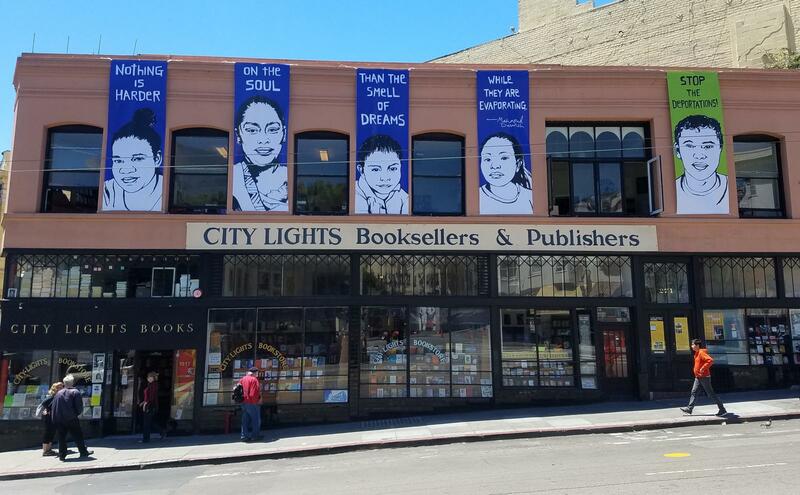 One of my happiest moments was finding one of my books for sale at the iconic City Lights in San Francisco many, many years ago. I am pleased to see that they continue to be a beacon for truth and justice in our new dark age. I am even more pleased to know that the great Lawrence Ferlingetti is still there. This entry was posted in Books, Bookstore Tourism, USA and tagged Lawrence Ferlingetti, Poetry, San Francisco. Bookmark the permalink.